The purpose of the Islamic Movement’s establishment of a “shadow government” inside the U.S. government is two-fold: first, to influence decision-making as it relates to Islam and the “war on terror”; and secondly, to gather intelligence. It was reported last week that three Muslim brothers – Abid, Imran, and Jamal Awan – who have been working IT on Capitol Hill, were fired in the last 10 days because they allegedly accessed computer systems of Members of Congress without authorization. 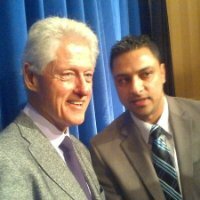 Another brother and a sister in the Awan family are also apparently under investigation in this same case. An FBI press release dated 11/13/2007 reveals: Nada Nadim Prouty, a 37-year-old Lebanese national and resident of Vienna, VA, pleaded guilty today in the Eastern District of Michigan to charges of fraudulently obtaining U.S. citizenship, which she later used to gain employment at the FBI and CIA; accessing a federal computer system to unlawfully query information about her relatives and the terrorist organization Hizballah; and conspiracy to defraud the United States.” To be clear, Prouty was an active CIA case officer and former FBI Special Agent whose immediate family were personally close to senior Hizbollah leaders. In April 2008, a Muslim police officer, Sergeant Weiss Rasool with the Fairfax County (VA) Police Department, was sentenced in federal court for illegally using the FBI’s National Crime Information Center database to see if he and others with whom he was acquainted were on the Terrorist Offender list. He also discovered one of his friends was under FBI investigation in a terrorism matter and tipped him off prior to the FBI raid. While working undercover as an intern at the headquarters office for Hamas (doing business as the Council on American Islamic Relations – CAIR) in Washington, D.C., UTT’s own Chris Gaubatz unearthed a memo revealing the Hamas entity was working to influence “judiciary, intelligence, and homeland security committees” (Council on American-Islamic Relations 2007-2008 Strategic Plan). Following these revelations, in October 2009, Congresswoman Sue Myrick (NC) called for investigations into the Hamas (CAIR) plan to put Muslims inside committees and on staffs to influence and gather intelligence. Democrats came to the defense of Hamas/CAIR (Conyers, Honda, Velazquez, Lee). In 2012, Congresswoman Michele Bachmann and others called for U.S. government Inspectors General to investigate the penetration of the Muslim Brotherhood inside the U.S. government. Republican leaders came to the Muslim Brotherhood’s defense (McCain, Rubio, Boehner). Suit-wearing jihadis portray themselves as friends wanting to be helpful. The facts reveal a very different picture. There is an ongoing effort to penetrate the U.S. government by the Islamic Movement, and there is evidence readily available this effort has been very successful to date. Efforts by those wanting to protect and defend the Republic are repudiated for doing so by people who should be batting for the home team. The influence operations and intelligence gathering by our enemy is effective. To rip our enemies out of the many places they have lodged themselves in the government system will be a significant endeavor. Americans must brace themselves as these efforts begin, because the hard-left marxists and jihadist will portray themselves as victims and our the leaders of the new administration as the “bad guys.” There will much wailing and nashing of teeth worthy of Academy awards. We are at war, but a large part of the war will not be fought on the battlefield with tanks, artillery and infantry. It will be fought in the media, on Capitol Hill, and in town halls across this nation. Citizens must know and understand the threat if we are to be victorious. The seminal seed of “Phase-2” achievement was probably sewn serendipitously in 1953 when George H. W. Bush and former CIA staffer Thomas Devine (who remained linked to the “company” undercover) embarked on a partially Bush-family-funded joint oil venture, Zapata Oil”, which in 1954 was augmented by a subsidiary company, “Zapata -Offshore”, funded in part by Eugene Meyer, publisher of the Washington Post and his son-in-law Phillip Graham, et al. When in 1959 Zapata-Offshore began operations in the Persian Gulf, “Kuwait-Shell-Petroleum Development Company” became one of its clients. And by 1963, when the Muslim-Brotherhood set-up its first “Muslim Student Association” scam in Illinois, the Zapata-Offshore rig dubbed “Nola III” was pumping Middle-east oil. I believe that Bush-43, and hundreds of other government frauds feigning denial who live amid multiple concentric circles of high-tech security, know damn well that the country is engaged in an existential war of survival with Islam, though in 43s case, he has a tiger by the tail that he dare not let-go of as a result of his inherited dynastic addiction for power (and lots of Middle-east money to ensure that he got it) thus said political, as opposed to judicial, decisions regarding immigration: I.e., Post 9/11 he appointed 304 federal judges as follows: 243 to U.S. District Courts; 51 covering all of the eleven U.S. Appeals Courts except the 1st (6 of which went to the 9th circuit. remember them); 2 to the U.S. Supreme Court, including the Chief Justice; and 1 to each of the 2 Specialty Appeals Courts (Veterans Claims & International Trade). Federal court appointees are no less amenable to quid pro quo nuance than anybody else, pointedly with respect to whether or not they would be apt to come down on the “deplorable” (formerly referred to as “We the People”) side of an issue rather than on the side of the many garden-variety liars who call themselves leaders. Bush 43 cannot afford for the Pandora box of truths regarding his oily affinity for Saudi-Arabia to ever be opened, which is why I believe he has rigged the federal court system with Omni-directional catch-22s to prevent that from happening. Ask Karl Rove. Or better yet, in the interest of advancing science, ask him to provide the country with a contextual demonstration of AVATAR robotics (Automated Virtual Agent for Truth Assessment in Real time). If we are to be victorious we must act for the preservation of our way of life, which dose not seem to be the intention of most Americans. I have studied the data and Intelligence of our decline for over 26yrs, have conducted classes and even counter-subversion training. However, the IDO (Information Dominance Operations) have been so effective against conservatives, Christians and other Liberty minded people, that passivity has dominated, as planned. Relying on party politics and current political activity is a self-defeating activity. As a US Marine I learned COIN doctrine and afterward studied it at a much deeper level which includes political insurgency which is exactly what we are now facing. The conditions require us who desire a positive out-come to engage our opponent on a professional level with the appropriate counter tactics. When will our people understand the nature and disposition of our enemy within? We must break free of the chains of contrived political action and orchestrate an organized counter assault, now, beginning at the local level. More and more people are relizing this, but far to slow. We need to accelerate out efforts as our adversary is escalating theirs daily..